Asset inventories and maps are a fundamental part of effective Estate Management. OTISS maintains an inventory of field assets and tree stock which can be viewed on maps, spreadsheets and reports. It is normal practice to start a management programme with a comprehensive baseline survey. 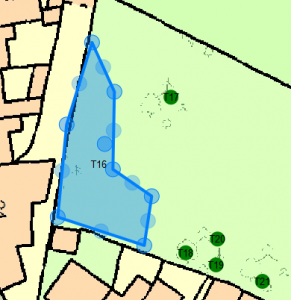 As part of a this survey you would identify and plot all field assets, park or street furniture on your property(s) and the locations of all high risk trees. OTISS maintains a geographic information system (GIS) based database of your assets. OTISS stores details on location, species, size, description, condition and all the other information you need for tree and asset management. Many of the fields can be customised to suit the estate’s requirements. If you have existing spreadsheets, databases, KMLs or shapefiles with relevant tree and asset data, we may be able to load these into OTISS. Please contact us for more information on what can be done. 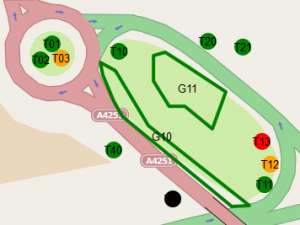 The tree stock and furniture items can be displayed using online maps (e.g. Open Street Map, Google) or your own estate maps. Upload your own estate maps, site plans, Ordnance Survey maps, OS Mastermap, geo-referenced maps, CAD drawings or aerial photos. Plot directly onto these plans using the mobile survey apps. 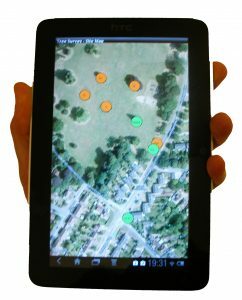 The web map view and the Tree Survey or Asset Survey Android™ apps provide very easy ways of adding new items. Simply click on the map and enter the information you have available. Park/estate furniture can be shown as points, lines or polygon shapes. In addition to your staff (or agents), you will often work with independent contractors and Arboricultural Consultants. Collaboration and data sharing are an important part of OTISS. Each user must register with OTISS. They will have their own login-name and password. All access to OTISS requires a security login. Some members of your staff will require unlimited access to all aspects of the data. But some staff may only require read-only access. 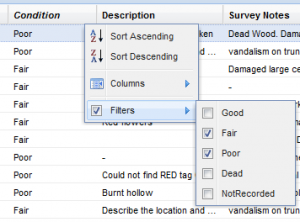 You may assign an independent consultant to carry out a specific survey at one of your sites. They can see (but not modify) previous details for each tree, and they can add new survey records. Once the survey is completed, they lose all access. You may work closely with an indepentent consultant/contractor to jointly manage the tree stock on a long term basis. In addition to the maps used by OTISS, high quality maps and printouts can be prepared using your own CAD application to combine your maps and site plans with the CAD/DXF files provided by OTISS. More information about CAD/DXF drawings.